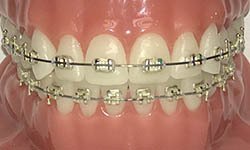 Gold braces are the same style as traditional braces just simply a different color. 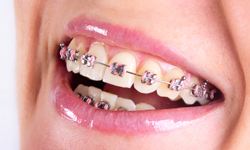 The gold color creates a less visible appearance due to the contrast with the lips and gums. 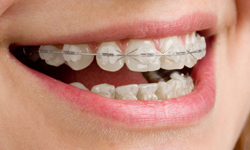 Colors can be placed on these brackets just like traditional braces, but most patients use a clear color to achieve a less noticeable appearance.